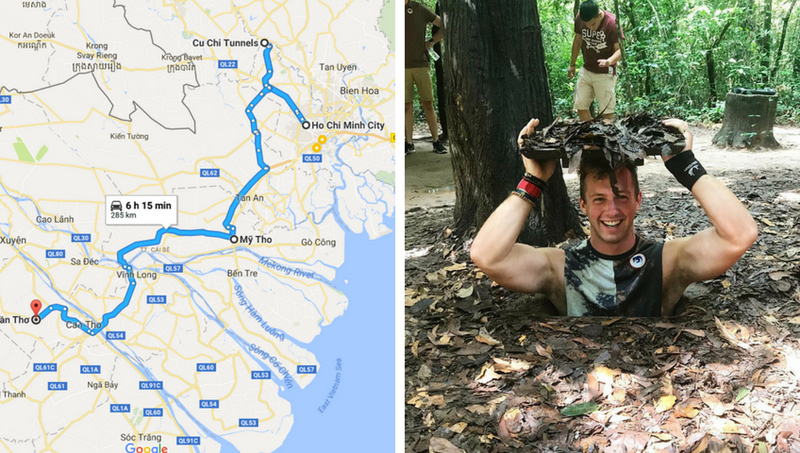 Cu Chi Tunnels, an immense network of connecting underground tunnels located in Ho Chi Minh City (Saigon), Vietnam, and are part of a much larger network of tunnels that underlie much of the country. 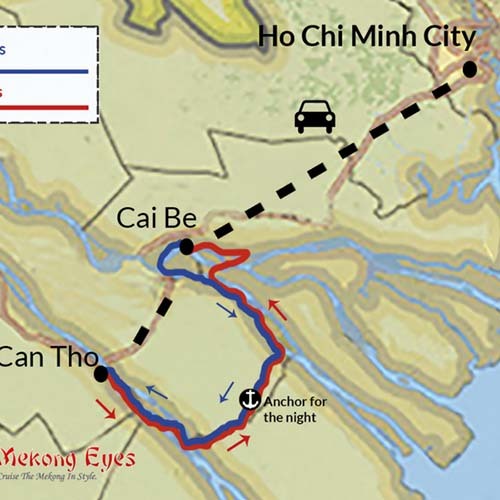 The Củ Chi tunnels were the location of several military campaigns during the Vietnam War. 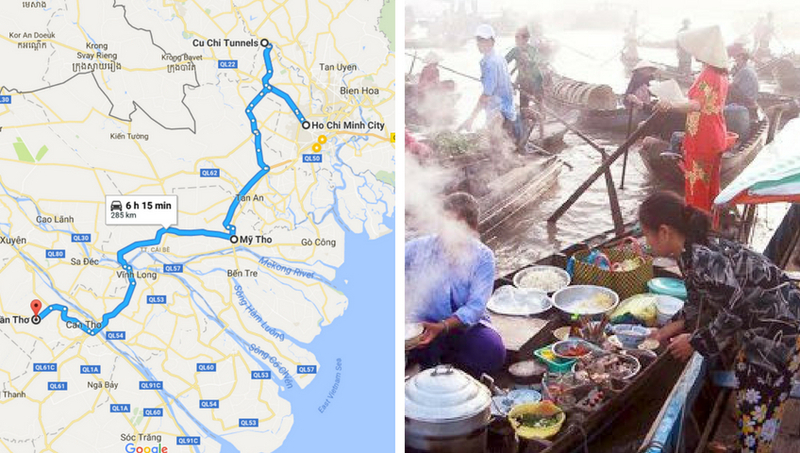 Mekong Delta, the extreme southern end of the Mekong River, and the area around Ho Chi Minh City (Saigon), Vietnam. Pickup at your hotel. 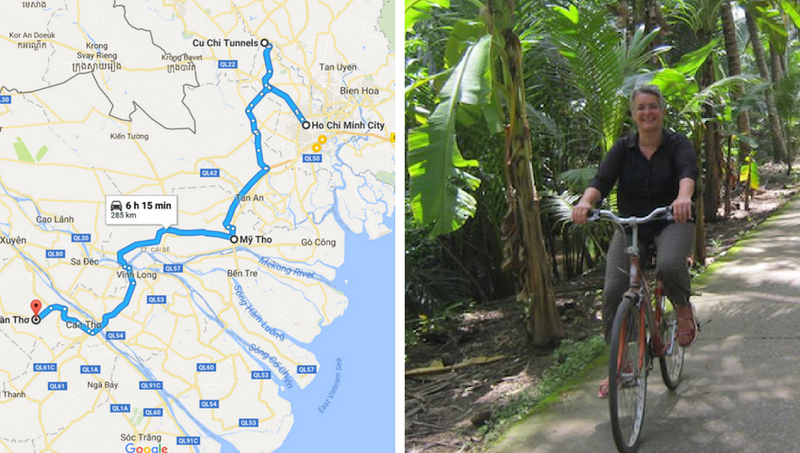 Enjoy a two hour drive northwest of Saigon, through urbanized areas and typical lush southern Vietnamese countryside, to the famous Cu Chi tunnels. The tunnel complex was initially started in 1948 to protect the Viet Cong guerrillas from the French air and ground sweeps. The tunnels also served as communication routes, storage facilities for food and weapon caches as well as hospitals and living quarters for guerrilla fighters throughout the American war. A visit to the underground villages will provide a better understanding of the tunnels’ history, the hardship of life in the tunnels and the Vietnamese resilience during combat. Return to Saigon. Enjoy lunch at a local restaurant. After lunch, continuing your tour to the War Museum and the former Presidential Palace and the major sights of colonial Ho Chi Minh City: Old Saigon Post Office, Dong Khoi Street (formerly Rue Catinat), Continental Hotel, Opera House and City Hall. The last stop Head back into the centre of the city to visit Ben Thanh Market offering an incredible display of fresh products. Simply stroll through the market seeing and enjoying the variety of goods for sale. At the end of the afternoon head back to your hotel. Spend the rest of this afternoon and evening at your leisure. 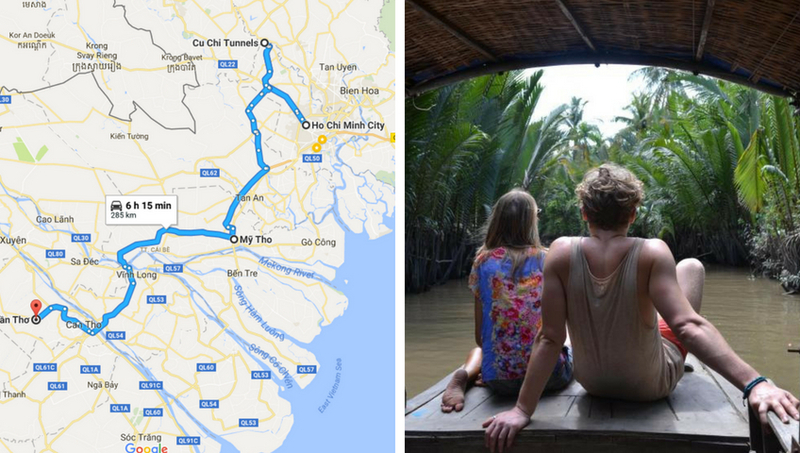 Leaving the cityscapes of Ho Chi Minh behind, a drive around one hour as you make your way to the Mekong Delta. Your first stop is My Tho where a boat ride through the islands is the perfect introduction to this colorful region. Tour the area's cottage industries, orchards and cruise on to a small, scenic, lush islands before returning to land for the drive to Can Tho. Overnight in Can Tho. Tour and Transfer by private air-conditioned car.